Happy Friday, friends! 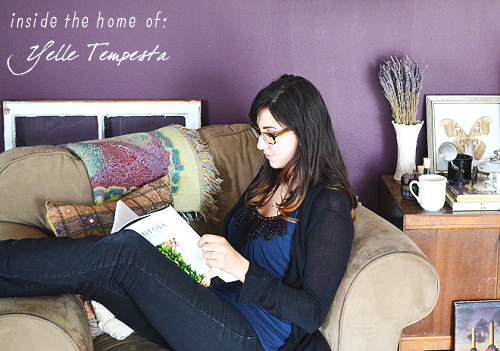 Today is the first day of a new feature each month sharing a look inside the homes of some of my favorite people! 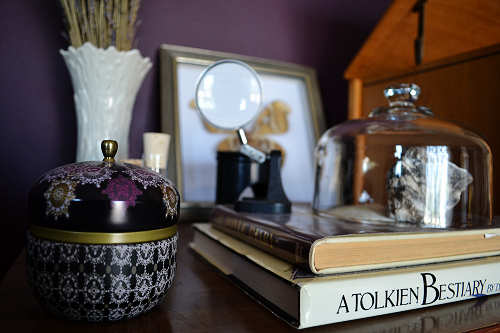 Today, Yelle of Yelle Events is sharing a peek of her living room! Hope you enjoy! A quick thanks to Rachel for having me on her blog! 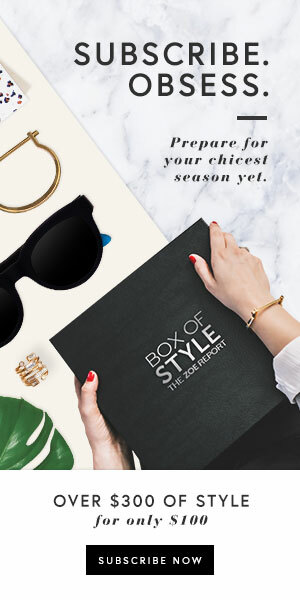 I've loved Swell and Stylish since I started blogging and it has definitely been an inspiration to both my blog and my home. I'm Yelle and I wanted to share my favorite room in our home, which is our living room. When my fiance and I first moved in, I knew I wanted to paint the living room my favorite shade of purple. We found a paint called Purple Basil by Olympic in a matte finish and knew it was perfect for our living room since it gets a ton of sunlight during the day. This spot in particular in our living room is the best spot to cozy up with coffee or tea and a good book or the latest magazine. 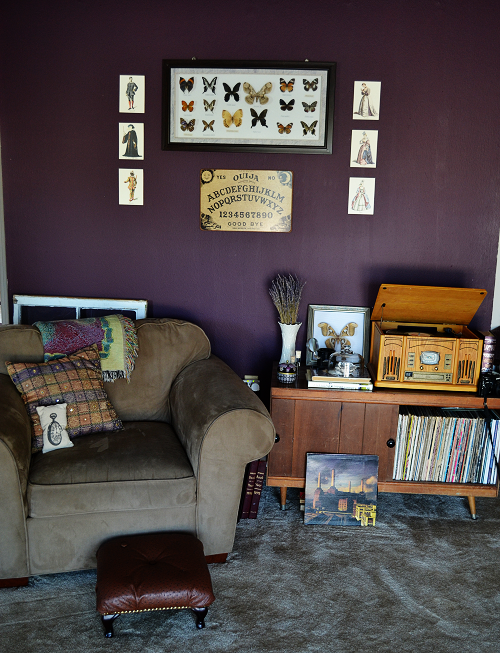 There are a few of my favorite things in this corner alone: a bunch of dried lavender, a taxidermy insect, our record player, my favorite novel, and an old Ouija board on the wall. 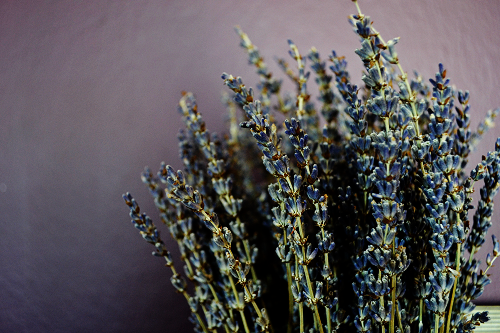 Lavender is my favorite flower, both in style and in scent. I always like to keep some around to set a calming mood in the house. I love it so much that it's going to be my bouquet for our upcoming wedding in May. 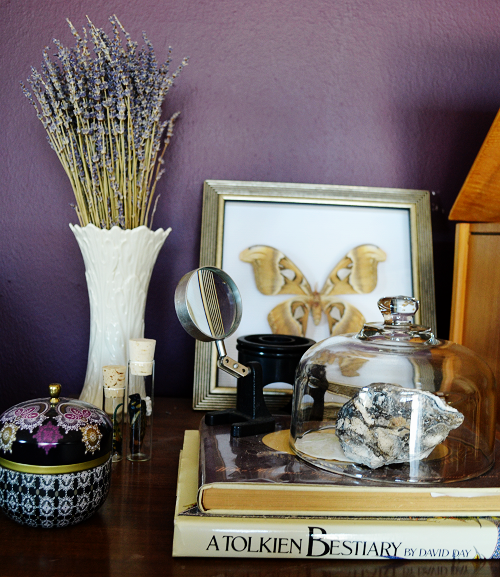 Next to our lavender is a framed Atlas moth, the largest moth in the world. After our trip to Paris a few years ago, my fiance and I started collecting taxidermy insects. In Paris we found an old shop of taxidermy called Deyrolle which sparked our love of all things relating to the natural and scientific world. 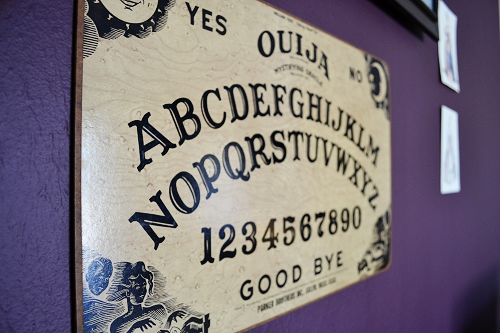 The Ouija board is the same one that belonged to my grandmother when I used to live in New York. My cousins and I would visit her house and as soon as it got dark, we'd ask to play with it in the basement. We didn't experience anything notable, but it always reminded me of my childhood, and it makes the living room feel that much more like home. In addition to insects, my fiance and I both collect records so it's important that we have a record player to play our collection. Recently, my father gave me all of his and my uncles records from the 70's. We have records of classical music, jazz masters, 70's rock, and even modern day indie. Our sideboard has quickly filled up with our collection. 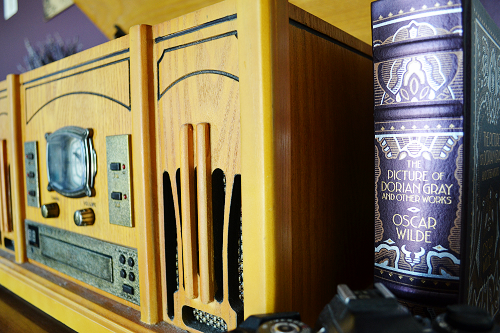 My favorite novel is The Picture of Dorian Gray by Oscar Wilde. I have at least four different editions, and being that this is the perfect reading corner, I keep one at arms length so that I may re-read it at a moment's notice. When a new book isn't doing anything for me, I can quickly get inspired again with my favorite book, full of life lessons and aphorisms. Thanks for letting me show you a little peek into my favorite spot! I'm so glad I got to share this withyou, Rachel's readers! Wishing you all a lovely weekend! 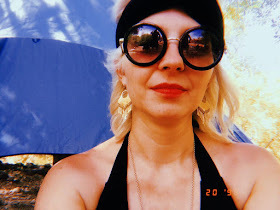 Take a hop (hehe) on over to Yelle's delightful blog to stay connected with her! Thanks again to Yelle for sharing her lovely space today!